August 21st, 2017 (1:04 PM). Edited August 22nd, 2017 by Spherical Ice. Hi, I’m Sulfurous, a New Member and Pokemon Lover. 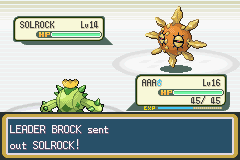 One of my favorite things to do in my free time is play GBA Pokemon Rom Hacks, and Nuzlocke them. I thought I’d take this to the next level by making a Rom Hack for both you and me to enjoy. I present to you: Pokemon Emerald Green, a hack of Pokemon LeafGreen and the first rom hack I’ve ever made. The game takes place in the KANTO Region, except a slight twist has changed the way everyone interacts and battles with each other. 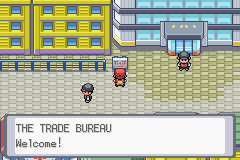 The successful crime syndicate Team Rocket has partnered with a new company called the Trade Bureau, an organization that makes profit through buying and selling Pokemon. Together, they send operatives to catch and steal wild Pokemon by the hundreds to the HOENN Region. Meanwhile, agents in HOENN return the favor by shipping exotic HOENN Pokemon back. Because of this mess, all the KANTO Region Pokemon have decided to migrate to HOENN, while all the HOENN Pokemon did the vice versa. This event was marked as the HOENN Migration, which, in the game, happened not long ago. You, the hero, are a new trainer starting in this HOENN infested region. 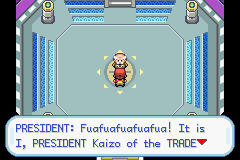 Grabbing the last KANTO Pokemon, you must fight your way through the region, and help the cause to destroy the corrupt Trade Bureau from causing more regional trouble. Utilizing the wild HOENN Pokemon, you will battle trainers who still have Kanto Pokemon, and ultimately, be forced to face the unstoppable heads of both Team Rocket and the Trade Bureau. The game is a true region vs. region fight, and the outcome as to which one wins is up to you. 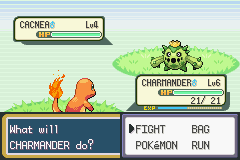 Pokemon Emerald Green isn’t the best rom hack out there, but it puts some quite challenging twists on the gameplay. It is recommended you Nuzlocke the game. 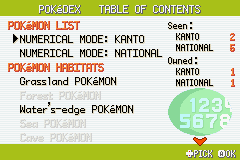 -National Pokedex is given to you at the start of the game. -Edited Storyline and Dialogue to help you immerse yourself into the game. -Boss Battles, such as Rival, Gym Leaders, and Giovanni, have much stronger teams with unique movesets. Some have both KANTO and HOENN Pokemon! -Safari Zone is better, it includes a wide variety of Pokemon. -Some dialogue boxes are slightly messed up. Doesn’t affect gameplay. To play Pokemon Emerald Green Version, you must patch the .ips file of the game to a clean Pokemon Leaf Green 1.0 Version (it is very important that the version MUST be 1.0, or the game will be messed up). August 23rd, 2017 (4:56 AM). Just out of sheer curiousity, Does this game have the PSS? Also, I'd suggest you map the game with more attractive tiles like the ones for DPP or at least change the battle backgrounds like comsic emerald. I'll be giving this is a spin soon! Congrats on your first hack! August 23rd, 2017 (5:38 AM). Thanks for the support! Most of the things you mentioned are quality of life related/cosmetic, so I never thought to add them haha. I like 4th gen graphics but because this game is set in Kanto thought I'd make it old school. In terms of PSS, this game was meant to be Nuzlocked, so typically PSS is not a feature used in games like these. August 23rd, 2017 (4:23 PM). Edited August 23rd, 2017 by Aki. I am pretty sure hacks like these should be posted in the "Sideshow Showcase" section. Seems like a cool idea though, I'll check it out. August 29th, 2017 (8:32 AM). Version 1.1 is going to be released soon! I know many people haven't seen this yet but hopefully this update makes it more unique. August 29th, 2017 (6:03 PM). Edited August 29th, 2017 by Froosty. The story catched my mind. October 10th, 2017 (2:06 PM). Seems like it might be pretty good. I will check it out later today! October 13th, 2017 (11:09 PM). Edited October 14th, 2017 by d_wib. Only at the 2nd gym, but this is really cool so far! 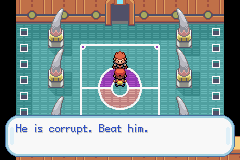 I love the region v region feel, I'm having fun with Aron wrecking early Kanto folks. 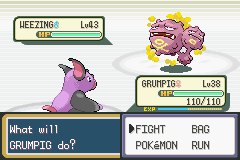 The fact that your rival also uses exclusively Gen3 pokes makes the fights vs him much more unique and it feels like a pretty cool showdown. 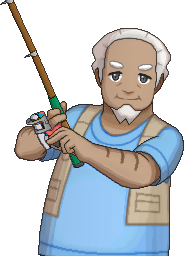 I think purchasing Feebas instead of Magikarp from the shady guy in the PokeCenter outside Mt. Moon would have been a cool touch - same with the fossils being Hoenn fossils? Edit: Updating the in-game trades would be good too. Not sure how I'd ever come up on owning an Abra to trade for a Mr. Mime. I'd be cool with trading a Shuppet for Sableye or Absol or something. 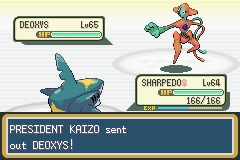 Any plans on making a RSE hack with only Kanto and/or Johto pokemon available? I'd have fun playing that where Wally winds up with an Alakazam or something. October 14th, 2017 (6:56 PM). Does this have gen 6 moves and movesets?? November 27th, 2017 (9:35 AM). Thanks for the feedback and sorry I'm responding so late lol. I switched computers to a Mac so it will be much harder to make those changes, but thanks for the feedback anyways and given the time I'll try to do that. What gym are you on if you still play? Do you think the game is difficult at all, or is it still easy. It was meant to be Nuzlocked which if you aren't doing it's probably easier. January 24th, 2018 (2:22 PM). January 28th, 2018 (3:03 PM). Looks nice, but why LeafGreen? Barely anyone has LeafGreen roms as most people are accustomed to it being FireRed. It's not like there's any differences between the two that are unchangeable or anything, so it just comes across as...I dunno, weird? It's just gonna make the hack harder to install and nothing else. January 28th, 2018 (3:46 PM). February 6th, 2019 (12:38 AM). February 6th, 2019 (10:03 AM).